It’s springtime and the beginning of the new financial year. The time of new starts and new plans. The time of year when many entrepreneurs are thinking of taking the leap into starting their own business and when many company owners are looking to refresh their marketing plans for the new financial year ahead. Creating the right image – or visual brand – for your business is a key part of this marketing mix. Your logo, strapline, website, photos and social media profiles all identify you to your target market and make you memorable. Your business stationery is a big part of this too and needs to be carefully considered when you’re looking at the visual image for your business. 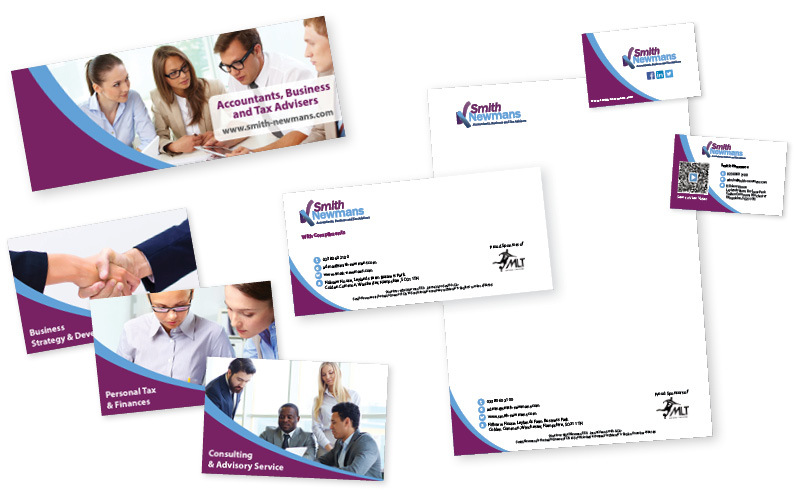 What do we mean by business stationery? Mention the word ‘stationery’ and many people automatically think of business cards, letterheads and compliment slips. However, business stationery stretches far wider than this. It can include a raft of other branded material; from invoices, mail shots and statements through to official websites and publications. Full details of what Companies House classes as stationery can be found here. Do I need business stationery? The short answer is yes – and not only for brand awareness purposes. Why? To comply with the law. All businesses registered at Companies House and all businesses issuing letters, quotes and invoices (which pretty much covers everyone) need to have basic details on their official documents to comply with legislation. You might not always need to head straight down to the printers like you did in the ‘old days’, but you still need stationery, whether that be in printed or digital form. Although having a strong visual brand is always a good idea, you don’t actually have to have a pretty logo or a state-of-the-art design for your stationery to be legally compliant. Your stationery could be as simple as a black-and-white Word document. But it does have to contain certain information to ensure it is legally compliant – and what that information is depends on the type of business you are. Sole traders operating under a separate business name need to include their own name and the business address on all letters and forms. This information should also appear in email footers. Cheques, official publications and forms must always include the name of the company too. 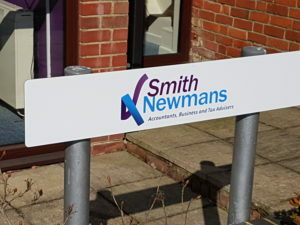 You must display a sign showing your company name at your registered company address and wherever your business operates. In addition to the list of legal requirements above, some industries and types of companies also have further requirements. To find out if you’re one of them or you would like any information or advice get in touch with the Smith Newmans team. If you’re looking to refresh your branding or would like some design inspiration, we work in partnership with marketing and branding specialists Pure Brand Media who can help you create your new company look. For help with your technical IT requirements, contact Coretek Group. Find out more about our Preferred Partners.